The Triton will significantly boost ADF maritime surveillance capabilities. The first Northrop Grumman MQ-4C Triton aircraft isn’t expected to reach Australia until 2023 or later but already local firms are gaining work. Long-term sustainment will be all-Australian, while Australia will work with the US Navy on future development. Northrop Grumman director of international programs for Triton Ed Graziano said there was a robust plan for Australian industry involvement in production of aircraft and in their long-term support. Graziano said some industry partnerships were already in place for supply of components such as cables and sheet metal, which would be expanded to include electronic equipment, composites for airframe parts and sensors. “We are working with Quickstep, Qinetic, Daronmont, Ferra, Marand and others,” Graziano told Australian media last week. “They will support not just the buildup and delivery of Australian aircraft and systems but also US Navy systems. 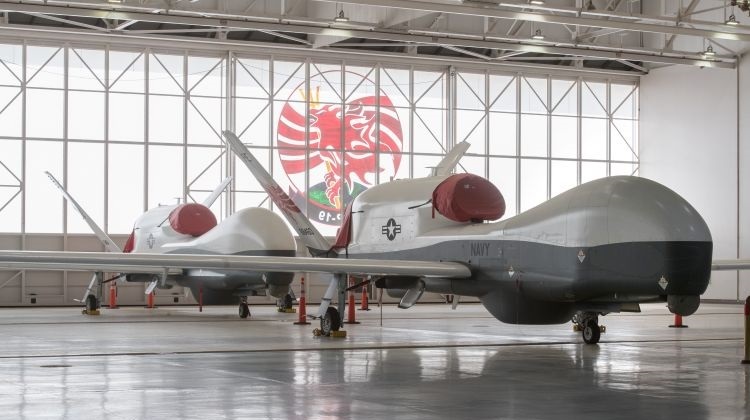 The government finally announced in June last year that it would acquire the first of six Northrop Grumman MQ-4C Triton high altitude long endurance (HALE) in a deal worth almost $7 billion. Triton has been a long time coming. 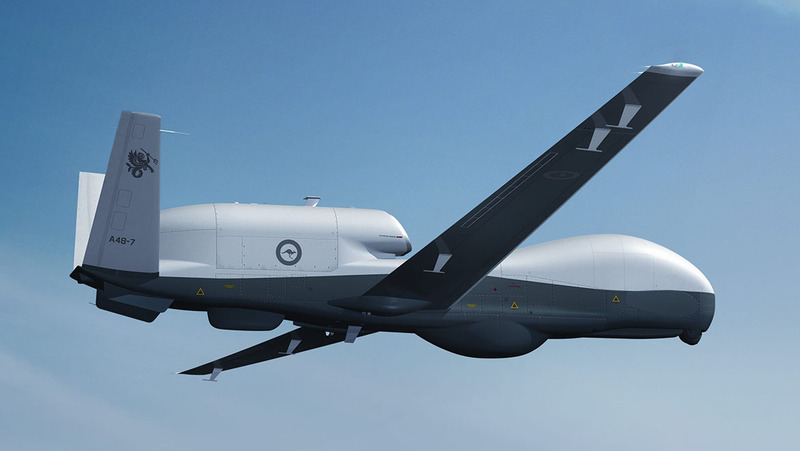 The government first disclosed an interest in a HALE capability close to two decades ago when Triton’s predecessor the Global Hawk made a record-breaking flight from the US to Australia in 2001. Triton flies at altitudes above 50,000 feet and can conduct surveillance of 2.5 million square kilometres of ocean on each mission, descending to take a closer look at items of interest. Triton will be based at RAAF Edinburgh in South Australia and operate in conjunction with the RAAF’s new Boeing P-8A Poseidon manned maritime ISR aircraft. VIDEO – A 2015 Northrop Grumman corporate video promoting the Triton’s capabilities in Australian service. Although Australia is looking to a fleet of six Tritons, the initial approval was for a single aircraft plus all ground stations and infrastructure. Graziano said Northrop Grumman planned to train Australian nationals to be able to support, operate and maintain the aircraft. There’s no mandated level of Australian industry involvement in the Triton program but Northrop Grumman did submit an industry plan. Although Australia has announced it will buy Triton, nothing has yet been signed and Northrop Grumman hasn’t yet been contracted for long-lead items for Australian aircraft. Australia and the US Navy have signed a cooperative agreement for future development of Triton. The US Navy plans to declare EOC (early operational capability) in the next few months, a slight delay following an incident in September in which one aircraft made a belly landing at the US Navy station at Point Mugu, California. So far eight aircraft of the US Navy have been produced from the planned 68 aircraft. The serial on the (artist’s impression?) of the Triton appears to be A48-7. Is this correct or speculative please? N48 is already allocated to the MH-60R. I assume it’s an artists impression, nothing more. @Paul, it would not surprise me if the NZDF does order 2, it was started in the white paper to purchase of uav’s to meet future needs. @Derrick yes which is probably why they only bought four P8’s to replace six P3’s. When 2 Tritons can enhance their capability & more.